Viscount Palmerston was over 70 when he finally became Prime Minister: the most advanced age at which anyone has ever become Prime Minister for the first time. Holding a large number of offices during the course of his career, he served in government for 46 years: a record in the modern period. As this suggests, he loved office, was good in it, and was not particularly choosy about his colleagues or their principles. But only late in life did he develop the popularity that secured his premiership. The Temple family were Anglo-Irish landlords with no long tradition of political eminence, but Palmerston, who inherited the title at the age of 17, wanted to change that. His was an Irish peerage, allowing him to serve as an MP, which he did almost continuously from 1807, aged 22, until his death. He took junior office straight away, holding onto it through Lord Liverpool’s premiership, but did not reach the cabinet until 1827. With like-minded ‘liberal Tory’ colleagues, he resigned the following year from Wellington’s new government, criticising him for his illiberal foreign and Irish policy. When Wellington opposed parliamentary reform and his government fell in 1830, Palmerston looked like a centrist figure who would strengthen and moderate Earl Grey’s new pro-reform government. Palmerston became Foreign Secretary, a post he held for 15 of the next 21 years. He loved wielding power through blunt, imperious despatches, written at high-speed and full of bold instructions to British diplomats all round the world. He did not mind offending other countries, or even Queen Victoria and Prince Albert, who had different ideas about Europe. In the 1830s he stood up to France in the Eastern Mediterranean, while he pursued a strong but controversial anti-Russian policy on the Indian frontier. Later, he sympathised with some aims of the 1848 revolutionaries in Europe, pleasing many radicals at home. He argued for a firm line against both French and Russian ambitions in the Ottoman Empire in the early 1850s, but his influence over policy in the lead-up to the Crimean War was limited, since he was distrusted by the Prime Minister Lord Aberdeen, who made him Home Secretary instead (1852-5). The first year of the Crimean war went badly, with many criticisms of poor administration. For different reasons, the established political leaders – Lord Aberdeen, Lord John Russell and Lord Derby - were widely disliked. 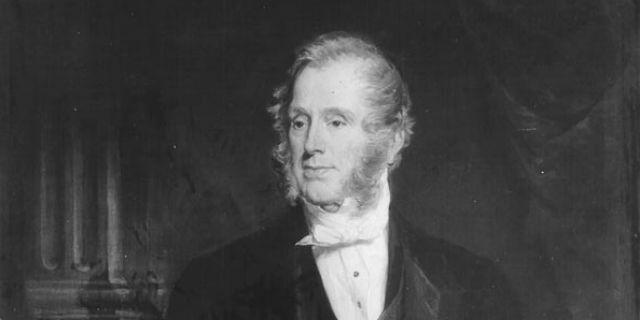 When Aberdeen’s government fell in early 1855, Palmerston was generally seen as the best man for the job, because of his no-nonsense, administrative vigour, his lack of narrow partisanship on domestic issues, and the newspapers’ support of his ‘manly’ yet liberal approach to foreign policy. He had increasingly cultivated the burgeoning British press, unlike most of his rivals. Palmerston continued to avoid controversial domestic reforms, which would have weakened his image as a centrist politician. When he died in 1865, aged 80 and still in office, many people thought that an era had definitely ended, and that parliamentary and Irish reform, and a more vigorous party politics, were now urgently needed.